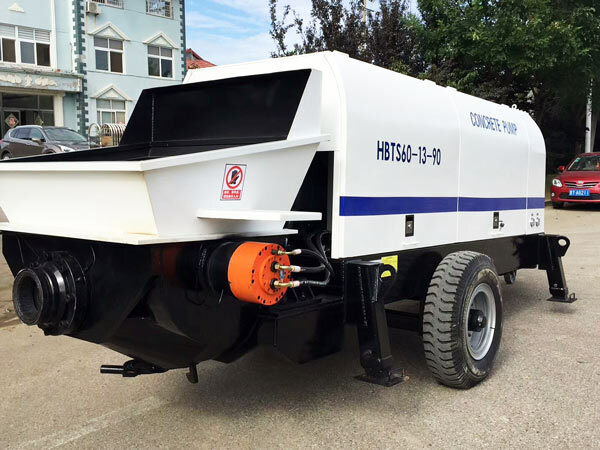 As a professional concrete pump manufacturers, we produce high-quality electric concrete pump for sale. With a history of over thirty years, our company has accumulated rich experience and produced high-quality ready mix concrete pumps. They are popular in a lot of countries. Those countries are as follows: USA, Russia, New Zealand, Philippines, Guinea, Romania, Pakistan, Ukraine, Boatswain, Uzbekistan, Kyrgyzstan, Oman, Inner Mongolia, etc. We have qualitative products as well as professional sales and technical team, so we are able to provide you with good products, excellent technical support and perfect after-sales service. Welcome to contact us if you are interested in any product. 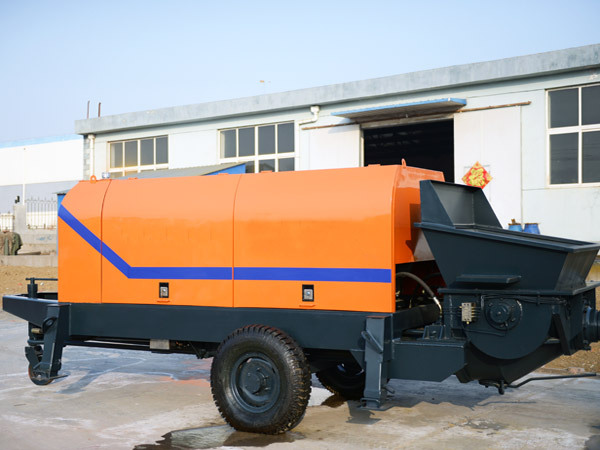 Electric concrete pump is an important equipment which is used for feeding concrete into the pumping system and then pouring them out to where it is needed. As the name shows, its power comes from motor. Due to the development of productive force, the tendency of widespread of electricity is really obvious. No wonder this concrete pump can be applied in so many different construction sites. No matter in the city or in the countryside, electric pump always plays a crucial role in concrete conveying. You can catch sight of them in the project of high buildings, highways, bridges and water conservancy. According to different execution conditions, there may be one equipment or more. In fact, our clients usually purchase more than one kind of concrete pumps. 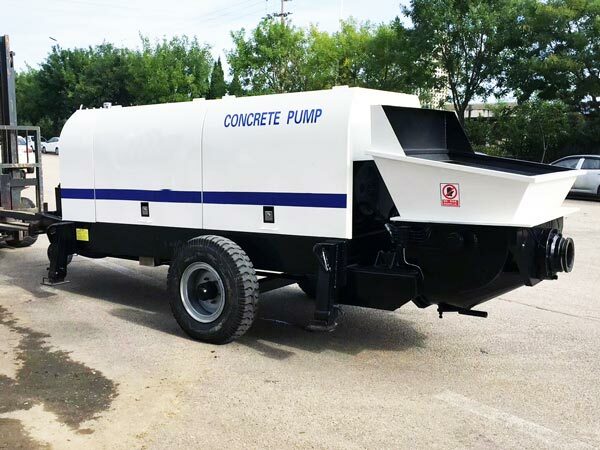 So when you are going to purchase a pump, how can you tell those different concrete pump types? Actually You can tell it from its maximum theoretical throughput. According to maximum theoretical throughput, there are five types: mini electric pump; small electric pump, middle electric pump, large electric pump and ultra-large electric pump. Our company produces those concrete pumps whose maximum theoretical throughput is from 20 m3/h to 90 m3/h. There are rich kinds of products for you, thus you can choose your favorite one. Next I will explain the working principle of our hydraulic concrete pumps. Take hydraulic double-cylinder piston concrete pump as an example. When concrete get into the hopper, the main oil tank affects the movement of two concrete pistons, which are in the concrete conveying cylinders. One of concrete piston moves forward, the other concrete poisons moves back. At the same time, one of concrete conveying cylinder connects the S valve, while the other one connects the hopper. During this process, concrete in the hopper is sucked into the concrete conveying cylinder at first and pumping out through the S valve later. When the piston reaches the end of the concrete cylinder, it triggers the reversing device in the water tank. Thus the process reverses until next circulation. We have salable electric concrete pump for sale. 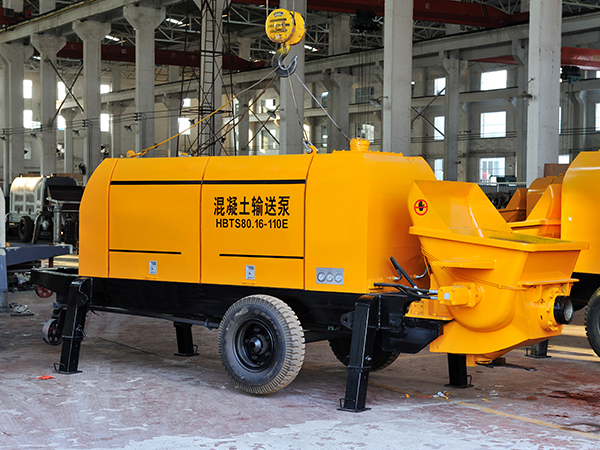 What are advantages of our electric concrete pumping machine? 1. On account of its environmentally friendly concept, it is more popular in modern society. The power of electric concrete pump is directly from electricity, which can avoid emitting any waste gas. 2. Since it is small size and simple structure, it gets a relatively low cost. 3. Because of its simple structure, the subsequent maintenance becomes much easier. 4. Due to its relatively larger power, it usually appears in high rise building construction where electricity is accessible. 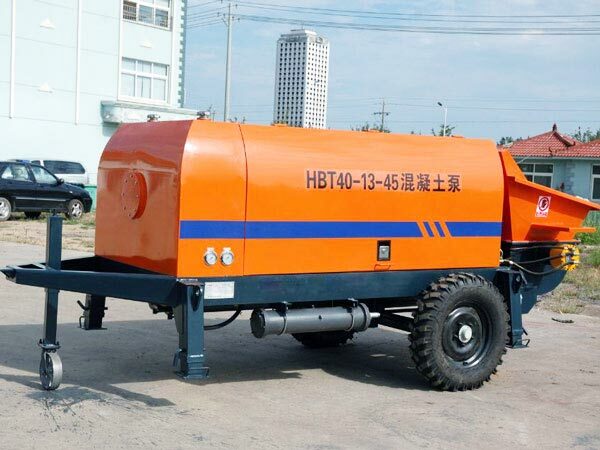 For instance, the maximum theoretical vertical conveying distance of HBT series electric concrete pump in our company ranges from one hundred and forty meters (HBT-20) to two hundred and twenty meters(HBT-90). Among so many electric concrete pumps manufacturers, our company pays more attention to details and parts. 1.Since we use Italy hydraulic drive, it has reliable performance, which reduces better reversing pact. 2.The whole complete machine can be taken apart into two, which is easy to transport and install in mining construction location. 3.Core parts are international brand, whose quality is much reliable. 4. We would like to offer you some gentle hints before you are going to purchase electric concrete pump. A. make sure that what kind of functions you want. If you just need the function of conveying, then HBTS series is a good choice for you. 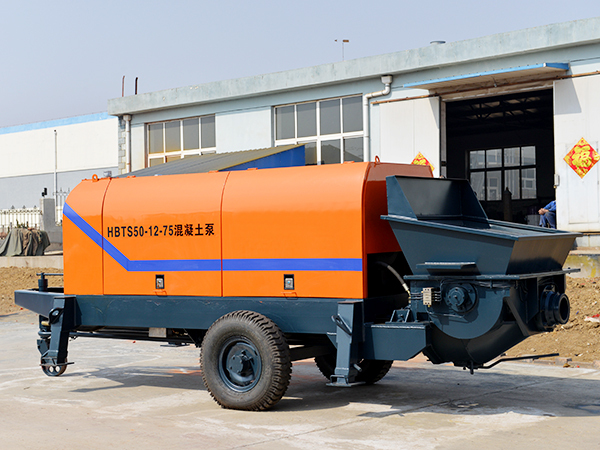 But sometimes you also need the function of mixing and pumping, you can choose our electric cement mixer and pump. B. The next advice is to figure out the size of stone, then find the concrete pump with proper feeding hole. C. Here comes the last tip. If your project will be held in an extremely cold environment, we can offer you such electric concrete pump, which is equipped with the winterization system. 5. We will offer you considerate service of after-sale. This means that every year, our company will arrange our sales and engineers to come to visit our old customers, and check whether the equipment is working normally or not. If well, we will give best advice on how to keep good working performance. If not, our engineer will help maintain in the construction sites until it can serve you for your construction projects. After-sale service is the biggest issue that customers will pay more attention to. Therefore, you needn’t think too much, we will be responsible for our customer and equipment which have been sold. 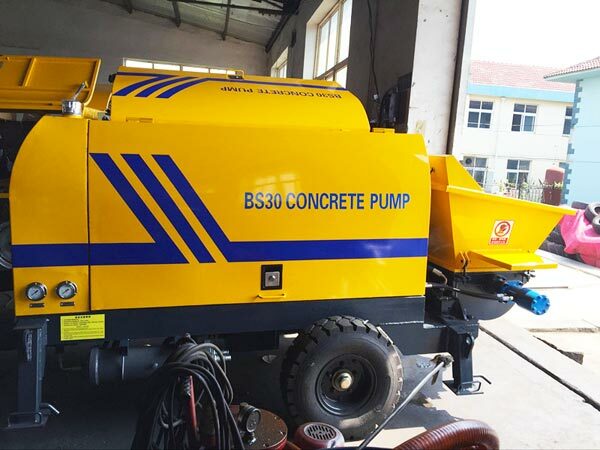 All customers, welcome to contact us for electric concrete pump details.